Is there anything more relaxing than slipping into a bubbling hot tub after a day spent skiing on the slopes or hiking through a mountain forest? A good soak can restore both body and spirit, and when the kiddos can hop in with you, the whole family can enjoy the perfect end to a magical day. We’ve rounded up the nine best family-friendly resort hot tubs—both indoor and outdoor—that are worth checking out during your next vacation. If your family still has energy after skiing, sliding in the Pump House Waterpark and skating at the Ice Haus, Jay Peak Resort’s 20-person outdoor hot tub offers a great spot to take in gorgeous views of the mountain before bedtime. Kids will love hopping out of the water, rolling in the nearby snow banks, and getting back in (over and over again)! After one dip in the spring-fed hot tub at this New Mexico wellness resort, your family may never want to leave. 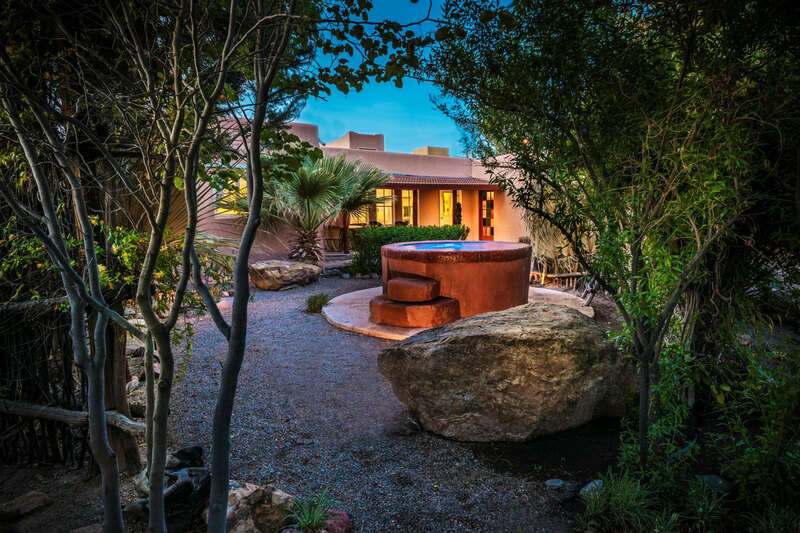 Because the Sierra Grande Lodge & Spa rests upon a natural geothermal spring, its waters are said to have healing properties from beneficial minerals. 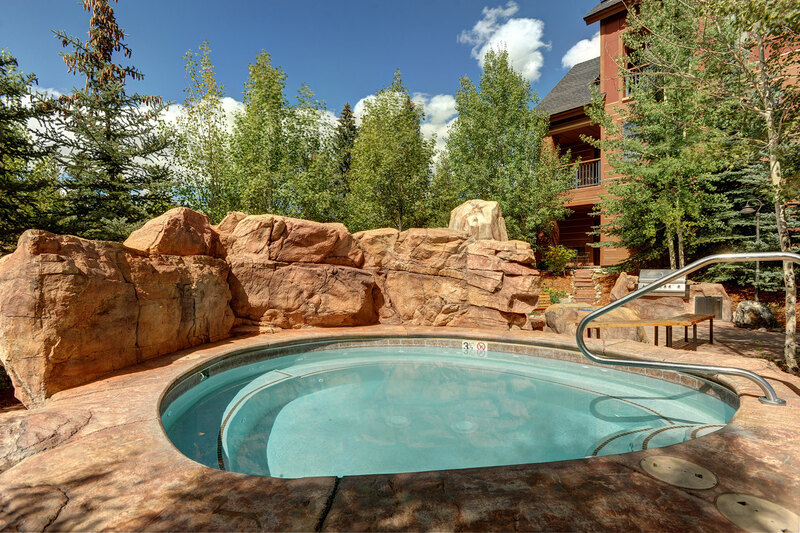 There are several family-friendly hot tubs on property (as long as children are 6-years-old and up), but be sure to check out the 107-degree indoor hot springs tub. 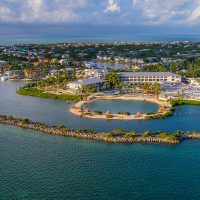 Tip: Families staying at La Casita, a deluxe two-bedroom cottage, can enjoy their own private outdoor soaking tub surrounded by swaying palm trees and aromatic tropical plants. 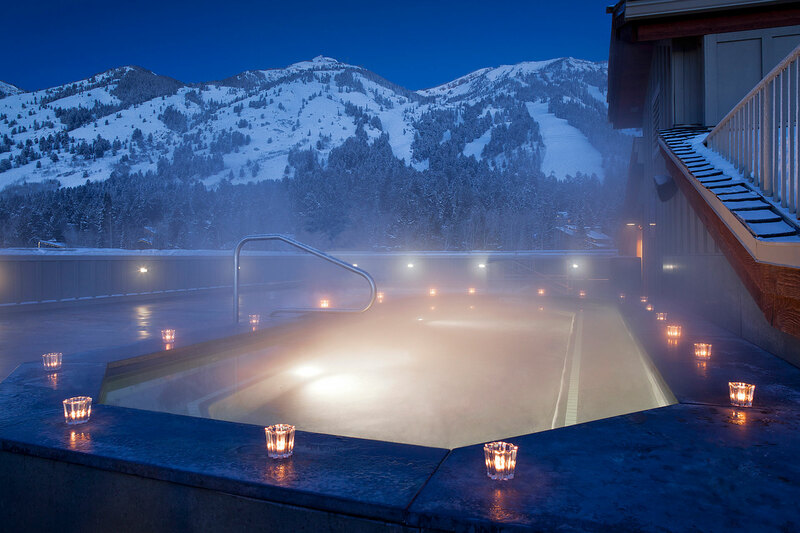 Adjacent to the western edge of Jackson Hole’s East Gros Ventre Butte, the 40-suite Amangani resort features a luxurious outdoor slate hot tub with incredible sunset views of the Grand Tetons and Snake River Valley. Bonus: Amangani means ‘peaceful home,’ and guests will feel right at home when resort staff bring out hot beverages during winter months, and cold drinks plus treats such as snow cones in the summer. Craving an adventure lodge vacation complete with helicopter skiing and several outdoor hot tubs? Your family will love Tordrillo Mountain Lodge, located at the foot of the Alaska Range, about 60 miles west of Anchorage. The lodge’s copper hot tub looks across Judd Lake to the majestic surrounding mountain peaks. Bonus: There’s an adjacent wood-fired sauna, if your muscles need more love after a day of winter fun. What’s not to love about a fairy-tale-like castle nestled in a lush forest that also happens to be a UNESCO World Heritage Site? Even better, the Fairmont Banff Springs has a relaxing outdoor hot tub that allows guests to take in the spectacular Canadian Rockies with 180-degree views of the Bow Valley framed by Mount Rundle and Tunnel Mountain. The outdoor pool is also heated year-round, for kids wanting to splash outside the confines of a hot tub. And there’s also an indoor pool and hot tub for families. 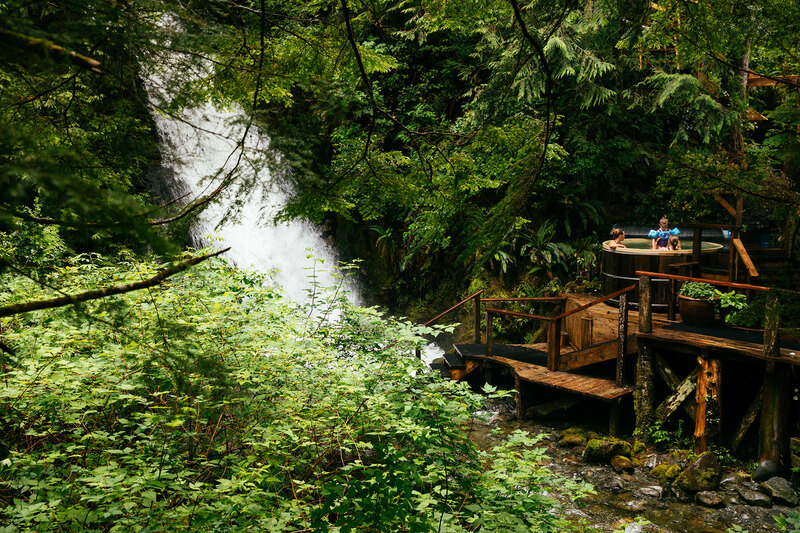 Choose one of two rustic cedar hot tubs—toasty-warm at 104 degrees—tucked into a forested inlet at the family-owned and operated Nimmo Bay Resort, located about 200 miles north of Vancouver, British Columbia, and open from early May to late October. 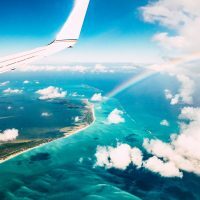 Feeling brave? Jump between an icy plunge pool and the hot tubs located at the base of Mount Stephens, each of which are filled by Nimmo Bay’s crystal-clear waterfalls that cascade down from the mountain. 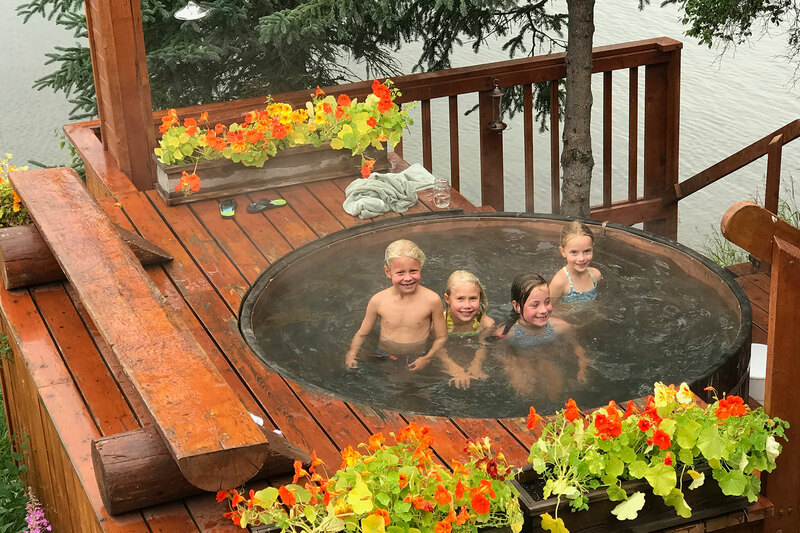 With both an indoor and an outdoor heated Jacuzzi, plus a heated outdoor pool that’s open year-round, Alta’s Rustler Lodge is sure to please the water babies in your gang. The mountain views are swoon-worthy, and the complimentary afternoon snacks will keep little tummies happy, too. Bonus: The lodge offers a free, seasonal children’s program for kids 5 and up. Staying at The Springs—a condominium complex in River Run Village—you’ll run out of vacation days before running out of family-friendly water activities. Kids will love the pool with waterfalls and a waterslide with a view towards the River Run ski trail. Parents will love that one of the two onsite hot tubs is adults-only (the other is perfect for the whole family). Bonus: The property also has a children’s play area, a communal gas grill, and a fire pit for lots of outdoor fun. Slope-side bar service is just one of the many reasons to slide into one of five glorious hot tubs at the Park Hyatt Beaver Creek Resort & Spa, with jaw-dropping views of Vail Valley. Kids will head straight for the tub located under a warm, cascading waterfall. The ski in/ski out resort’s outdoor pool is also heated year-round. Bonus: During the S’mores Happy Hour at the hotel’s nearby fire pits, guests can warm up while scarfing down the chef’s handmade treats, which include handmade vanilla, crème de menthe, Grand Marnier, M&M and toffee marshmallows. Families searching for a classic Western-style luxury resort will love Teton Mountain Lodge & Spa. 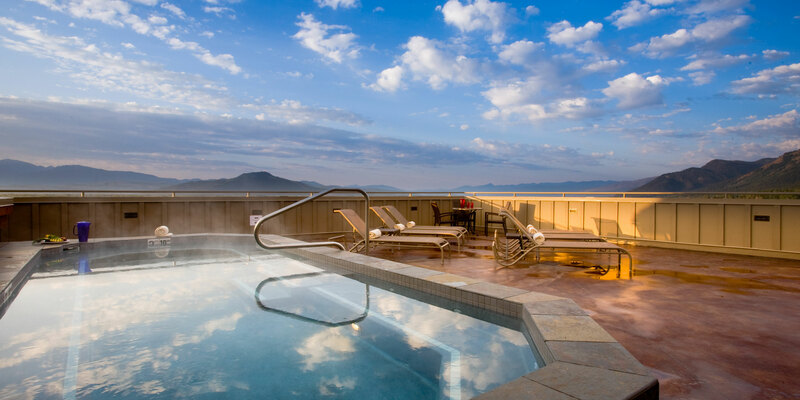 And rather than arriving at the hot tub only to find it too crowded, your gang will appreciate this rooftop one, which comfortably holds 22 people! There are also two other outdoor whirlpool hot tubs, plus three indoor ones. Nestled between two renowned national parks—Yellowstone and Teton—the property is ideal for a family-friendly mountain vacation.